Tim Hecker has established himself as one of the foremost electronic producers around, having released classics like Radio Amor and Harmony In Ultraviolet under his own name whilst busying himself with his Jetone side project and a recently founded collaborative venture with Aidan Baker (check out the excellent Fantasma Parastasie album from a few months back). An Imaginary Country is another solid example of swirling textures and elusive auditory weirdness. The key to Hecker's unique sound is his uncanny knack for pushing sound mixes to breaking point without ever quite launching into all out distortion. Instead there's an uneasy equilibrium established on the divide between chaos and serenity - part noise album, part ambient exercise. 'A Stop At The Chord Cascades' is majestic and imposing, while elsewhere 'The Inner Shore' and 'Paragon Point' overspill with harmonically entangled activity. 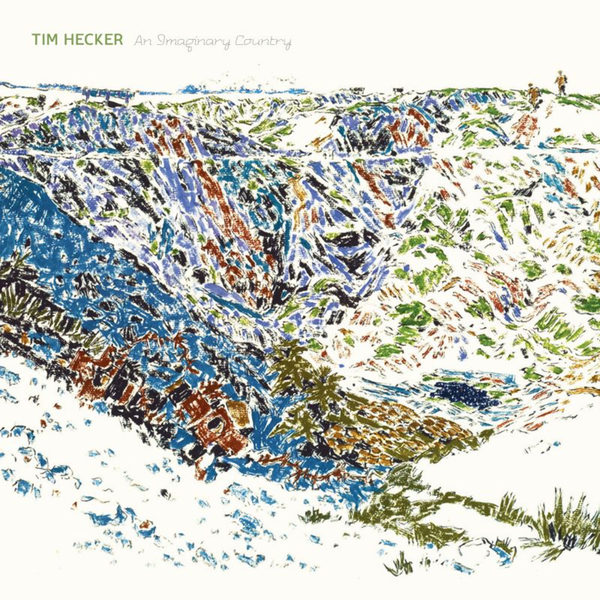 An Imaginary Country finds Hecker building on the momentum established by prior releases, continuing to forge a path that's all his own.